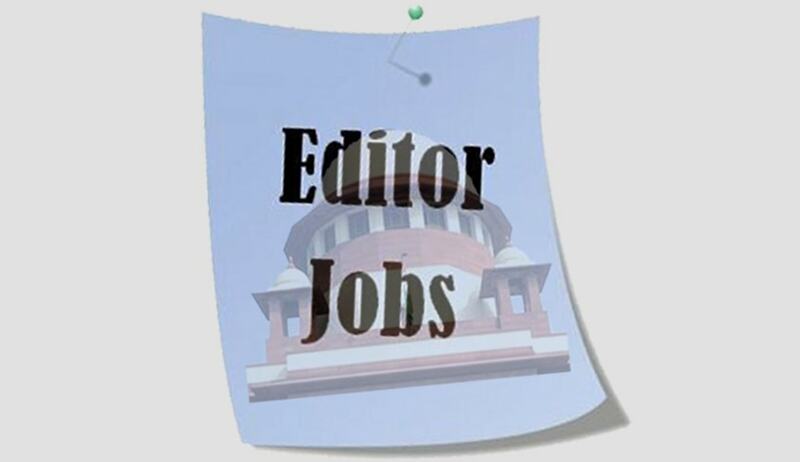 The Registry of Supreme Court of India has invited applications from the eligible candidates for the posts of Editor and Assistant Editor, Supreme Court Reports. A degree in Law of a Statutory University in India recognized by the Bar Council of India or any State Bar Council for enrolment as an Advocate. An Attorney of High Court in the territory of India. Minimum 3 years service in a Class 1 Gazetted post in Government service. Minimum service of 7 years of which minimum 4 years in a Class-II Gazetted post in the Supreme Court/High Court or collectively in High court and Supreme Court. copy of practicing as an Advocate in High Court/Supreme Court/working as a Reader or Lecturer in Law of a recognized University/Class-1 Gazetted Post (for exact proof of experience showing duration and date from-to) duly attested by appropriate Gazetted Officers. Envelope superscribed with “APPLICATION FOR THE POST OF.....................” containing application completed in all respects to reach the Registrar (Admn.I), Supreme Court of India, Tilak Marg, New Delhi-110201.